This option can be used to reset the udiMagic license from the Server, if the user is unable to surrender the license using the licensing utility. Earlier, the udiMagic v3.0 / v4.0 users had to write to us by email for reset of the license. a. This option is applicable for udiMagic v3.0 and v4.0 (i.e. old versions) only. b. 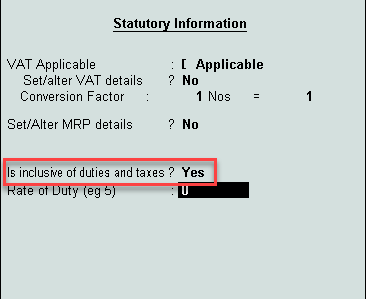 There is no need / option to surrender license in the latest udiMagic software. This option is for Rating the udiMagic software and providing feedback / review. It is requested of the udiMagic users to provide their feedback / review and rate the udiMagic software. Rate and provide feedback / review for udiMagic software. We are pleased to announce the launch of UDIMagic v9.0. Upgradation of udi-Magic v3.0 / v4.0 to the latest version was discontinued from 1/1/2017. 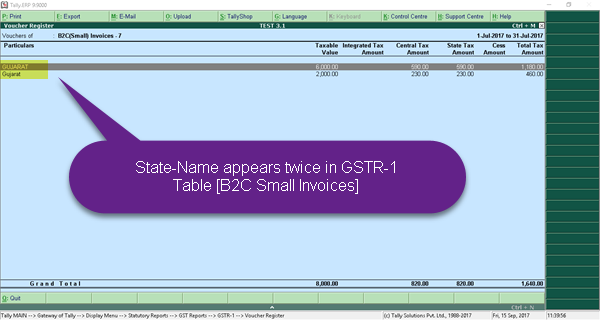 However, due to implementation of GST in India and requests from several udi-Magic users, the upgradation was allowed from 1st July 2017 onwards. We wish to intimate that the upgradation from udi-Magic v3.0 / v4.0 to the latest version shall be allowed upto 31/12/2017 only. 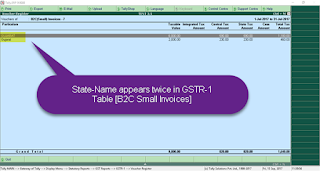 Thereafter, users will have to buy new license of udi-Magic, if they wish to use the new features/version. 1. 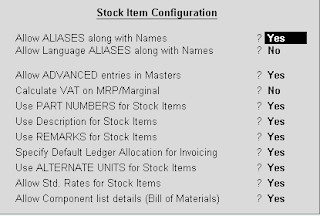 StockItem ALIAS gets overwritten/removed when the Price List is imported - Now fixed. 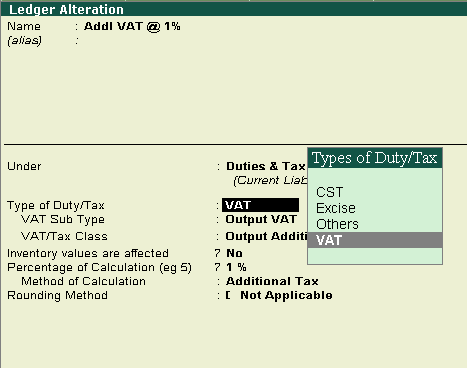 As it can be seen, the VAT amount is incorrectly computed when we specify VAT + Addl Tax in the StockItem Master and "Calc VAT on MRP" is enabled. A workaround is to disable the "Calc VAT on MRP" and enable "Is Inclusive of duties and taxes" only in the StockItem Master. 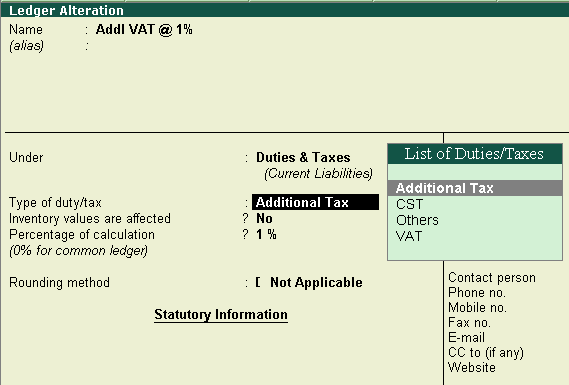 This way, VAT is computed correctly in both the situations as mentioned above. 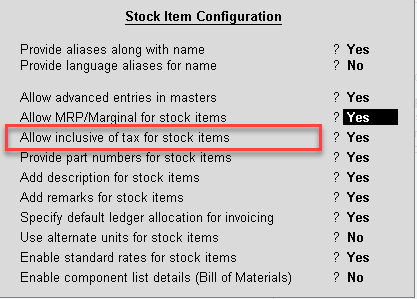 A new option "Allow inclusive of tax for stock Items" has been included in Tally ERP 9 Release 5.0 onwards. 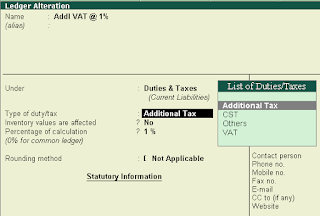 This allows you to prepare Sales Invoice with Rate inclusive of VAT. 3. Enable "Allow inclusive of tax for stock items" as shown above. 4. Back in the Stockitem screen, enable VAT Applicable and specify the VAT Rate using "Set/alter VAT details"
Remarks : If the Group-Name is not specified, then the Ledgers are created under group "New Ledgers"
Uploading "StockItem Masters" into a Tally Company; which already contains the same StockItem but with a different unit of measurement. StockItem with name "Item A" exists in Tally Company having Unit of Measurement (UOM) as "Nos". Let's now try to modify it's UOM to Kgs. As you can see below, the cursor does NOT go the the Unit field. This video shows how to activate the udi-Magic license with USB Flash drive. Applicable to udi-Magic v6.0 and higher versions.